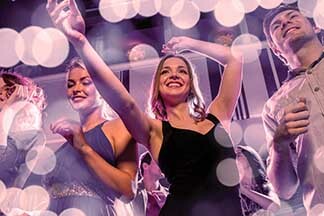 The Best Party DJ's of the Hudson Valley for Weddings, Corporate Events, Private Parties and more. Your party will be known as “THE PARTY” for the rest of your life… as long as you do it right. It takes the Orange County and Hudson Valley party DJs, Soundz Amazing. Soundz Amazing DJ Service does it right. How? We’re professionals. We know people. We know parties, whether it's your wedding, a corporate event, or a celebration. Most of our life is spent working. Most of our fun is when we’re celebrating. Make your celebration perfect with professional entertainment that makes all the difference: Soundz Amazing. Soundz Amazing will meet and exceed your expectations. Anything less diminishes your celebration. What will you get from us? Quality. What does this mean? There are no surprises, only fun, brought to you by professionals who care about you and your guests. We offer something very simple: the professional difference. It is this difference that ensures that the level of fun goes beyond your imagination. Now that’s a pleasant surprise! Exceeding Expectations... One Event at a Time. Check our availability right away for your date. The best dates book early. Stylish professionalism, experience, outstanding service, and a passion for creating the perfect event sets Soundz Amazing apart. We are all about making your event everything you dreamed it would be, and more! Looking for Hudson Valley party DJs that care about you and your guests? You've found them! Get ready for the time of your life! Let Soundz Amazing DJ make your event the party of the year! Soundz Amazing does more then provide amazing entertainment options for Hudson Valley and Orange County NY weddings. We understand that every bride has a different vision for their perfect wedding. 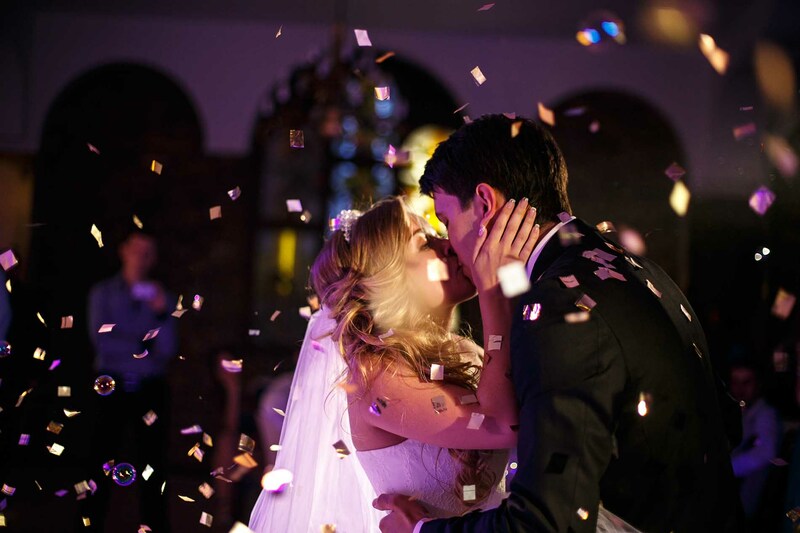 We will work closely with you to help create YOUR perfect dream wedding. Whether you are planning a laid back family reunion, a crazy sweet 16, or an elegant banquet dinner, Soundz Amazing has you covered. The entertainment you choose will make or break your celebration. We will work with you to create an event that your guests will remember forever. Our lighting is the key to creating an atmosphere that is uniquely you. 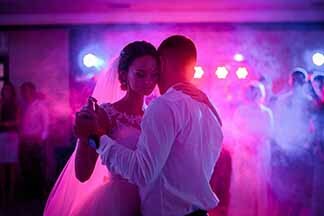 Our lighting designer can create the ambiance you desire, from elegant scenes to the wild and crazy for your dance floor. The best part: it’s AFFORDABLE. Our uplighting packages can transform any space!